Who - Club members only. We are currently running three competitive groups and a fourth non- competitive group (bring the family, the low traffic roads and enforced speed limits make Pax River the ideal ride for youngsters). Our A group is equivalent to USA Cycling Cat 1-4 racers with average speeds in excess of 22 mph. The B’s are Cat 4/5 and run about 1-2 mph less than the A’s. The C’s run about 1-2 mph less than the B’s. Each series is 6 weeks long, 5-6 series per year. Points are awarded based on sprints and finish. Points accumulate through the series and medals are awarded at years end. These are training races; the emphasis is on conditioning & experience. Most of our races are 30-40 mile road races with three intermediate sprints for points along the way. They are a great interval workout. In each series, we try to add a little variety with a time trial, a crit and/or an alternative road course. This takes us off the Base occasionally, so check the schedule. The Tuesday Night Series is insured through the USA Cycling, which requires participants to be club members for coverage. Members can check out category assignment, complete schedule, rules and procedures in the Documents Section of this site. Base access questions for members should be directed to Laura Slingerland's email available in the Membership Directory. When - Tuesday Night Series runs continuously every Tuesday from March through October during Daylight savings time. Start time is 5:30 pm each week. Where - Typically begins at the Outdoor Pool onboard NAS Patuxent River, MD (Access to Pax River is restricted) but there are frequent events in the local area so check the schedule on the Event Calendar to see where the race is for that day, get directions to the start, and see the course. Who - Club members and guests. What - Tuesday Night Winter Ride is a PAXVELO tradition. It is a 35 mile, 2 hour long ride with lots of turn arounds for regrouping. There are typically 2 groups. 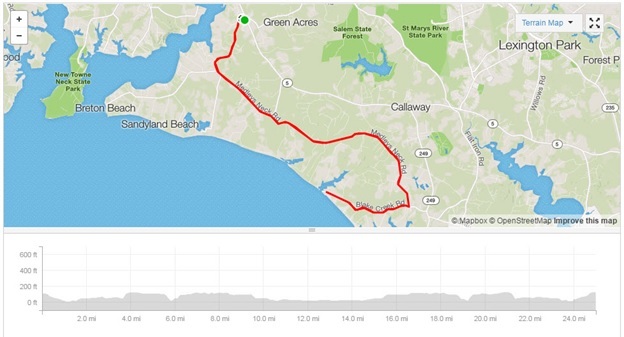 An "A" group that averages 20+ mph and a "B" group that averages 17 -18 mph.The ride is mostly on wide shoulder roads that go from the Callaway, MD Food Lion down to St. Georges Island and back. It is no-drop, so no one will be alone, unless they specifically ask the RIDE LEADER. There is a sprint near the end of the ride, in which about half the folks participate, and there is a trophy for the winner each week. When - Tuesday Night Winter Ride runs continuously every Tuesday from November through February during Eastern Standard time. Start time is 5:30 pm each week. Where - Meet at the Callaway, MD Food Lion parking lot. What - This is fast tempo ride in a rotating pace line for the entire ride. It's not a race and there are no real attacks but the tempo is consistently very high. While it is intended to be a no drop ride there are regroup points in at least 3 different spots because not everyone can maintain the pace set for certain sections of the route. No Drop for this ride means that all riders are accounted for at the regroup points with assistance offered by other riders should there be a mechanical problem. There may be times the group is not within sight. The first regroup is always at the Ridge fire department after the only real hill section of the route leading to Ridge, MD. The second regroup occurs at the Point Lookout turn-around. The last regroup point is at St. Michael's church in Ridge, MD. The average pace is 20-24 mph over the whole ride. It will start very close to 20-21 mph at the beginning of the season and gradually ramp up to 23+ average for the "A's" (with some sections at 28 to 30 mph) and 20+ for the "B's". If your goal for this year is to become a better and/or faster bike rider, the THNR is the ride that will help you the most. Due to the structure of THNR, it makes you a better group bike rider and due to the pace at which the group maintains, it will make you faster if you do it regularly. Normally, this ride starts a bit fast as most people start to get into pretty decent shape by mid-March which means the legs will burn until April. When - The ThNR will go every Thursday from March until sometime late in September or very early October when we run out of daylight. We only cancel for thunderstorms in the summer (usually if it's really raining no one comes either even if it's warm). Where - It always starts at the Park & Ride lot just south of NAS Pax Gate 2 on southbound Rt. 235 just passed Great Mills and across from Linda's Cafe. The route is basically the same, week after week. It starts south on 235, cross over to Rt 5 via Park Hall Road. Go down Rt 5 all the way to Point Lookout (at least when we have enough daylight). Turn around, come back up Rt 5 until we pick up Rt 235 and head to the parking lot. Once we get more than enough daylight, we'll add in the Snow Hill loop, but that probably won't be until mid or late April. 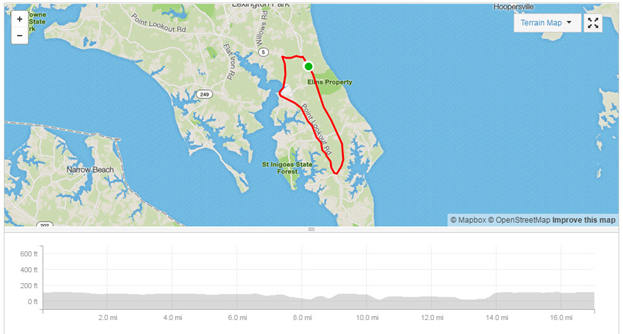 All in all, the ride is 40 - 42 miles if we do the whole route. It usually takes 1 hr 45+ min for the "A" group and 2+ hrs for the "B" to do the ride after the first couple of warm up weeks are over. The group won't do the whole route due to lack of daylight for those first few weeks. Who - Club members only. Waiver required. What – Introducing a brand new series for 2017! For those members who enjoy an individual challenge once in a while, this series is for you. No fancy equipment is required to participate, but you certainly won’t be out of place breaking out the aero bars! These events are an individual effort (NO DRAFTING!) and will range from 16 - 25 miles, depending on the course. Riders will gather at a starting location and be released one-at-a-time about 30 seconds apart. The goal is simple: get to the finish as fast as you can. Timing will be recorded individually. If you want to see how you compete with everyone else, you will need GPS and a Strava account (free). An event will be created on the Strava club page (“Pax Velo”) where we will be able to see the leaderboard. Since we will be doing each course twice, riders will also be able to compare with themselves and see how they have improved over the season. This series is for fun, training, and, of course, bragging rights. When – The first Friday of every month during the main Pax Velo season (April – September) @ 5:30 PM. 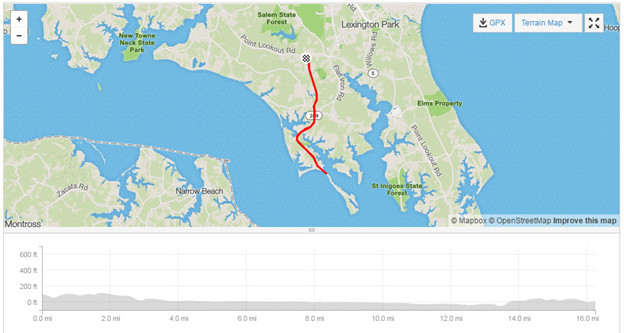 Where - There are three TT courses the club tends to use: Medley’s Neck , Piney Point, and Spring ridge. Check the Event Calendar to see where the race is for that day, get directions to the start, and see the course.